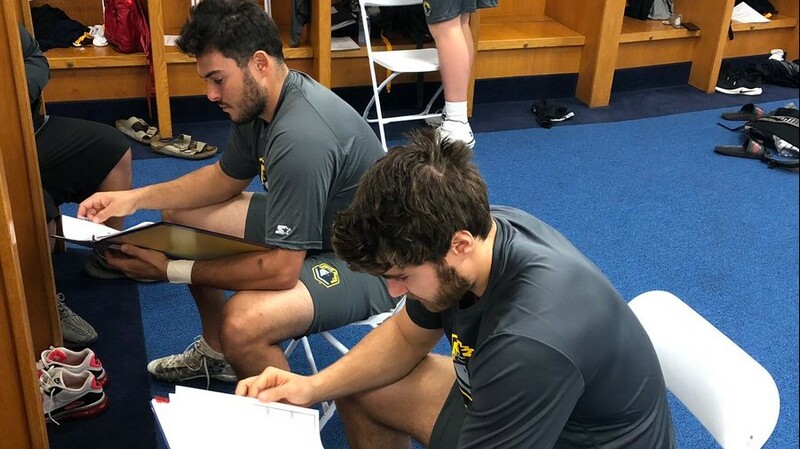 The San Diego Fleet of the Alliance of American Football conducted their first two minicamp practices Thursday on a field adjacent to San Diego County Credit Union Stadium, a team official said. Approximately 80 players practiced in jerseys and shorts, including former Arizona State quarterback Mike Bercovici, who is competing to be the team’s starter after former University of San Diego standout Josh Johnson was granted his release to sign with the NFL’s Washington Redskins. The Fleet retains Johnson’s AAF rights for three years. The minicamp began Monday with players taking physicals. It is set to conclude Friday. The Fleet will open training camp Jan. 4 in San Antonio, begin play Feb. 9 at San Antonio and play its first game at SDCCU Stadium Feb. 17 against the Atlanta Legends.